ToCan Media is run by Tony and Candice. Tony is a professional Cameraman, Editor, Producer and Director with many years experience working for various government departments as well as freelance commercial work. Regularly shooting with professional camera equipment such as Sony PDW-F355L XDCAM and Sony EX1, EX3 XDCAM and Sony DSR DVCAM equipment. For well over a decade Tony was the Senior Videographer and Deputy Manager at NHS Rotherham’s Creative Media Services. His duties included Commissioning Editor and Producer for Video, TV and Radio Programmes. He was also Senior Programme Scheduler for the award winning NHS QTV Network. Because of his background with the RAF and British Aerospace Military Aircraft, Tony really understands about working in real pressure situations and values teamwork, good organisation & logistics - as a result he works to exacting standards. 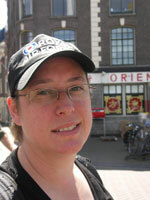 Candice is a professional Graphic Designer, with experience in the film industry as well as design for print and web. ToCan therefore offer a complete service including graphics for video, web and social media publishing. Both Tony and Candice are skilled in post-production image manipulation techniques and retouching as well as video editing. With a strong visual imagination and graphic capabilities, ToCan offer a complete package from concept through creation to final output, whatever the scale of your project. We are fully qualified to take into account the various needs of your project, be it for commercial, private or web use. Based in Doncaster, close to major motorway networks, ToCan are extremely flexible and are prepared to travel to any location in the UK.